Network Rail Anglia, which runs and operates the railway through Stratford to the Queen Elizabeth Olympic Park, is very proud to support the Shrouds of the Somme exhibition. 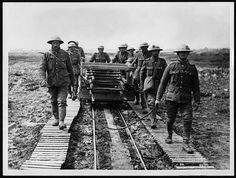 The railway played a significant role throughout World War One, enabling the rapid movement of troops, military equipment and medical supplies, as well as supporting communities and industry at home. 100,000 railway workers fought in the war and 20,000 gave their lives.